Well cared for Hunters Point beauty! 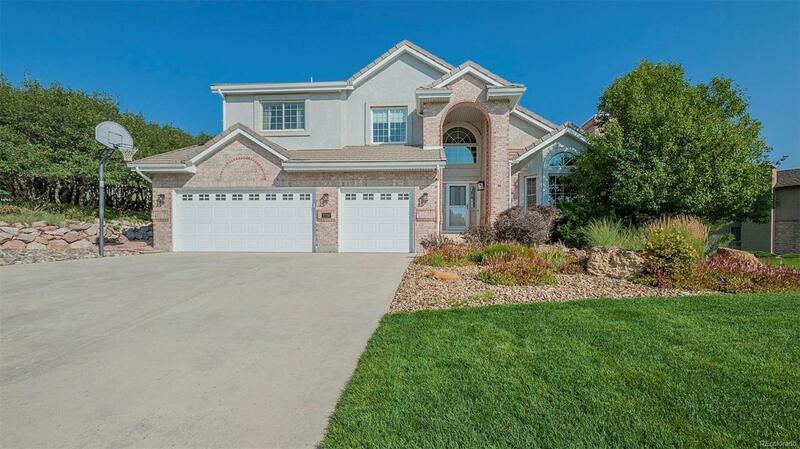 This elegant home sits on an amazing corner lot that captures city views and creates a wonderful backyard oasis with a double waterfall stream, beautiful patio and hot tub. 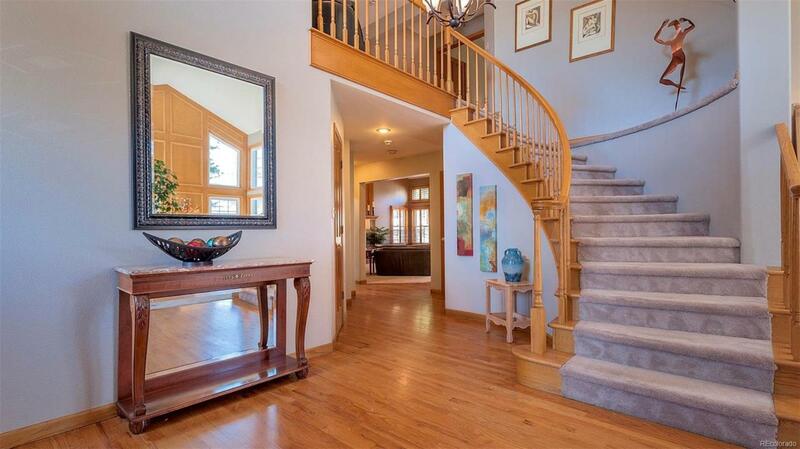 Enter the foyer of the home and be greeted with warm inviting wood floors. 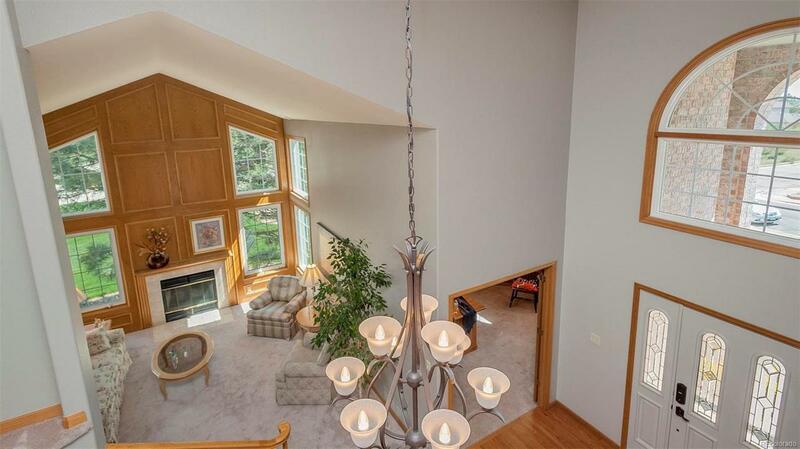 Two story living room with fireplace creates an inviting space to entertain guests. Family holidays are easy with the large dining room that takes advantage of a beautiful view to the exterior. Come enjoy the expansive kitchen that opens to the vaulted family room with additional fireplace perfect for casual gatherings. This great room connects with the backyard making a seamless enjoyment from inside to outside and taking full advantage of the Colorado outdoors. All of the family bedrooms are found upstairs, the master, three additional bedrooms plus a great loft that can be used as an additional office, sitting or rec area.